Hello duelists! Following the competition of YCS Bochum there was a lot of controversy surrounding the event, but that’s not why I’m here today! Before I get into my topic, I’d first like to congratulate Luca Chetoni on a very well deserved win! I’d like to take a closer look at the cards the top players were side decking for this event to help those who are preparing for ARGCS Richmond better prepare their decks. It’s imperative that your side deck is the best that it can be, because you want to be prepared for the popular decks in the current metagame. It’s also important to research the popular side deck cards, because then you will know exactly what to play around when facing those particular match-ups. You wouldn’t want to be playing Nekroz and forget to play around Mind Crush, just like you wouldn’t want to side in answers for a Vanity’s/Majesty’s Fiend when those cards aren’t even relevant. So what is relevant right now? Denko Sekka has been one of the most popular new additions to the game since its release in The New Challengers. Denko Sekka’s ability to lock your opponent out of their backrows is extremely powerful because it prevents your opponent from stopping your plays. Denko first saw play in the Denko-Doll deck that Jeff Jones popularized. Denko Sekka solved Shaddoll’s problem of dealing with infinite backrows and helped dominate in the Burning Abyss match-up. A Denko Sekka and an El Shaddoll Winda sealed the game against Burning Abyss, which made Denko Sekka a very popular card choice against them. In the current metagame Denko Sekka is being utilized primarily in Nekroz and Shaddolls. Denko is a very good card to play in the main deck for Nekroz because they don’t need a normal summon to ignite their plays. While Manju and Senju both help kick-start Nekroz, it is not integral that you normal summon a Manju/Senju every turn. You can summon as many Manjus/Senjus you want, if your opponent has multiple backrows you won’t be able to advance your gamestate anyways. Denko Sekka effectively clears your opponents Fiendish Chains, Breakthrough Skills, Vanity’s Emptiness, Mind Crushes, and Shared Rides with the cost of a normal summon. Denko Sekka was primarily side decked at YCS Bochum, but that doesn’t mean you shouldn’t expect to see players main decking it at the ARG in Richmond this weekend. Knowing Denko Sekka is going to be a popular card choice, you should be trying to play around it the best you can. You also should know that if your opponent just summons Denko Sekka and fails to declare their phases you could still use your backrows and win by technicality. An example of this would be if your opponent drew Denko Sekka and just summoned it without declaring that they were in their Main Phase. You could call a judge and argue that your opponent failed to communicate to you which phase they were in and you will 9/10 times win the ruling. On the other hand, if your opponent does make it apparent that they communicate their phases, you will be able to read that they could potentially have a Denko Sekka in hand. When I was playing Shaddolls and went into game two against Nekroz, I found it better to simply flip up Mistake as fast as possible to play around Denko Sekka. I’d rather not run the risk of losing my Mistake indefinitely than just having it Mystical Space Typhoon’d. If you’re playing a deck that uses cards like Mistake, Non-Fusion Area, or Skill Drain, it is probably best to just flip them as soon as possible to play around Denko Sekka. The next popular side deck card from YCS Bochum I’d like to discuss is similar to Denko Sekka, but it’s slightly slower because it’s a trap card. Royal Decree saw play in various Nekroz side decks this past weekend and has been popular for a few events prior. Decree is another card that you will typical see side decked in a combo deck, because it allows you to cut your opponent’s traps out of the equation. Royal Decree is also strong because unlike Denko Sekka, it can be used to out an already active floodgate like Mistake or Vanity’s Emptiness. Royal Decree and Denko Sekka are both solid solutions to an opponent’s trap cards, which have prompted some decks to play both Royal Decree and Denko Sekka in the same deck. Nekroz decks elected to play Royal Decree and Denko Sekka, which means if you see a Royal Decree you should expect your opponent to be using Denko Sekka too. 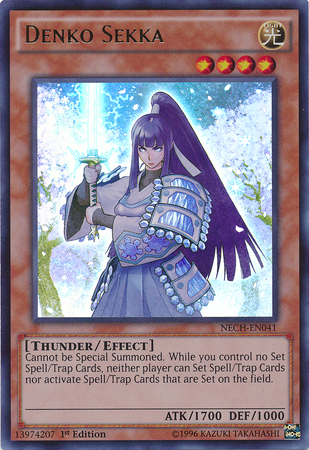 This doesn’t mean that if your opponent is using a Denko Sekka they are automatically using Royal Decree as well. Royal Decree will be sided in against the same decks that Denko Sekka is sided against, which means if you are playing Satellarknights, Shaddolls, Qliphort, or something else that uses trap cards you should counter side for Decree. Cards that help counter side for Royal Decree are Mystical Space Typhoon and Twister, which is extremely convenient because MST and Twister can both be used against other match-ups too! These cards both saw play in quite a few side decks in the top cut of YCS Bochum and that’s not surprising! The Fiends are incredibly powerful normal summons because they can single handedly win you a game once put in play. Similar to the Djinn-lock, a Vanity’s Fiend accomplishes the same thing in a sense that it prevents your opponent from playing their deck effectively. Vanity’s Fiend is very effective against Nekroz, Shaddolls, Burning Abyss, and Satellarknights because it prevents them all from applying pressure with their powerful effects! I would primarily expect to see a Shaddoll player or a Burning Abyss player side decking Vanity’s Fiend because most of the other decks do not have enough room in their side decks to play it. Majesty’s Fiend is just as good as Vanity’s Fiend and comparably better in some match-ups. Since Majesty’s Fiend prevents your opponent from activating their monster effects it forces a Nekroz or Shaddoll player to already have all of their combo pieces before going off. 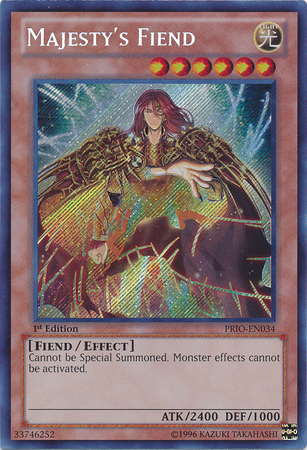 Majesty’s Fiend also prevents a Burning Abyss or Satellarknight Player from utilizing their monster effects to summon powerful XYZ monsters, which locks them out of the game! Majesty’s Fiend is also very significant in the Shaddoll sideboard because a lot of Shaddoll players have elected to main deck Artifact Lancea for the Nekroz match-up. The significance is that Lancea isn’t really exceptional against anything besides Nekroz, which means it’s easily sided out for Majesty’s Fiend. This is perfect for a Shaddoll player because it’s an even exchange of light monsters, which keeps a balance of fusion targets in the main deck. Spell Canceller has seen an influx in play in the past few months due to Nekroz’s dominance at every event is has participated in. YCS Bochum was yet another event where Nekroz overtook more than half of the top spots (22). Since Nekroz is a deck that relies on its spell cards, you can autowin the game if you summon a Spell Canceller. Spell Canceller saw play in quite a few players’ side decks at the YCS in Bochum, which means you should expect to see more of Spell Canceller a Richmond! The decks that primarily use Spell Canceller are Burning Abyss and Satellarknights. Burning Abyss can very easily summon a Spell Canceller because all of the monsters can serve as free tributes. 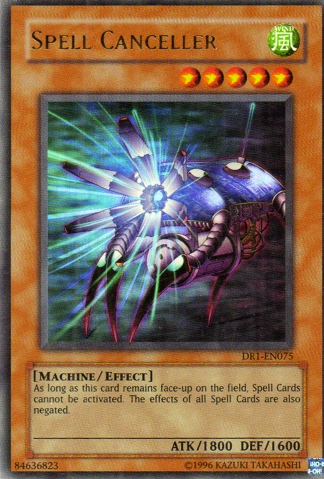 Spell Canceller can also be supplemented in Burning Abyss with all of the powerful trap cards that they can utilize. A Spell Canceller backed up with trap cards is nearly impossible to deal with. The easiest solution to a Spell Canceller is the use of Fire and Ice hands because they can run through a field on their own. The hands are also solid solutions to the other floodgates that players are siding like Mistake and Vanity’s Emptiness! Satellarknights can also utilize Spell Canceller because the deck has a play that can simply rush into it. If a Satellarknight player can produce a rank four monster, and have a Call of the Haunted or Soul Charge, they can get to a Spell Canceller. The play is to make a Lavalval Chain, send Spell Canceller to the graveyard, and then revive it with Call of the Haunted or Soul Charge! As forced as this play sounds, it can win you the game against a Nekroz player if they’re caught without a Mystical Space Typhoon for the Call! 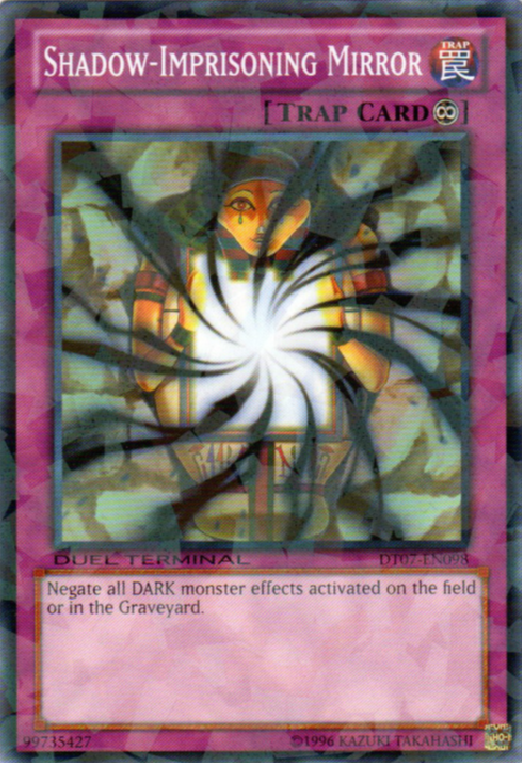 Since Satellarknight players have been rushing into Spell Canceller I would play Dance Princess of Nekroz to counter the Spell Canceller with a Nekroz of Decisive Armor. While the hands can out a Spell Canceller too, I would want a main decked solution as well! 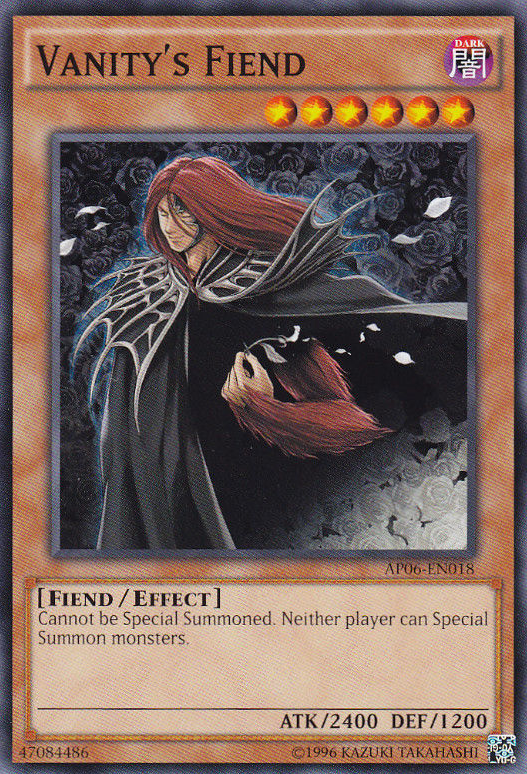 These cards have faded in and out of favor since Duelist Alliance dropped in 2014 because of Burning Abyss, Shaddolls, and Satellarknights. With the resurgence of Satellarknights and Shaddolls into the current metagame it wasn’t surprising to see a lot of the top players opting to side deck copies of Shadow Imprisoning Mirror and Light Imprisoning Mirror. If I was piloting a Shaddoll deck or a Satellarknight deck this coming weekend I would be sure to counter side against Light/Shadow Imprisoning Mirror otherwise you risk losing to these particular floodgates. ARGCS Richmond should be an event primarily filled Nekroz decks because Circuit Series events tend to be filled with the most popular or best decks of each format. Knowing this I would be prepared to play a multitude of Nekroz decks during the swiss portion of the Circuit Series. I also wouldn’t be surprised to see a large sum of Shaddoll and Satellarknight decks because I’ve seen a lot of players express their frustrations with Nekroz. These frustrations don’t necessarily indicate that Nekroz is a bad deck, but more or less a boring one. Whatever deck you choose to play this weekend, I sincerely hope you consider the types of side deck cards you might run into. And as always Play Hard or Go Home!